There’s been a lot of controversy around Epic Games recently, and even more after they made this announcement. Epic Games has just announced to the gaming community that it has no plans to host game community forums - a feature that has been present on Steam for years. Instead, Epic Games suggests that developers make use of Reddit to host their community forums. While the announcement was met with a lot of dissatisfaction and anger from many in the gaming community, it seems barely anyone was surprised. Epic Games has been met with a lot of controversy and resistance over the past few months, due in part to its shady business dealings, its anti-competitive approach to the gaming industry, and the questionable tactics that it’s been employing to gain some sort of advantage over not only its competition but its customers as well. Epic Games is working almost desperately to get its Epic Games Launcher off the ground. So far, it has done this by acquiring exclusive rights to a handful of upcoming titles, including most recently Metro Exodus and a timed exclusive with Borderlands 3. By pursuing these exclusivity deals with highly-anticipated video game titles, Epic Games is in effect forcing consumers to use the Epic Games Launcher. While there’s a lot to be said about this kind of anti-competitive and market-manipulative business decisions, what most of the community has been complaining about is the fact that the Epic Games Launcher itself is sub-par. Features that are present on Steam, and some features that many would consider to be necessary, are completely absent from Epic Games Launcher, which is looking more and more like an unfinished product. 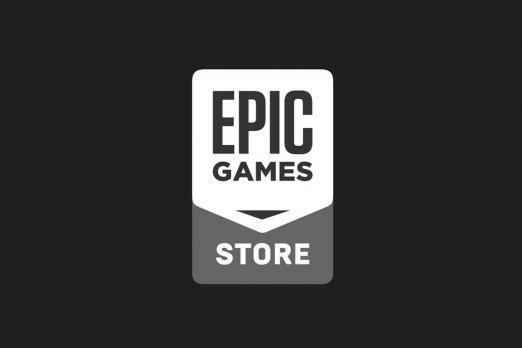 Prior to the announcement, the argument stood that Epic Games Launcher was new and that it needed time and the support of a dedicated community to become the best launcher/storefront on the market. This argument has somewhat mitigated public backlash, but now that the company is downright refusing to implement a feature that has been on Steam for years and has been used by millions of players around the world for years, we don’t know what to think. There’s a lot of controversy about Epic Games right now. First, there are rumors that the company is actually a front for the Chinese conglomerate Tencent (which owns 40% of the Epic Games’ stock). Then there are the on-going investigations about the Epic Games Launcher stealing user information from Steam. And of course, there’s the issue regarding one of Epic Games directors saying that "gamers are unpleasant aggressive assholes with hysteric requirements who should **** off." I don’t know about you guys, but when it comes to Epic Games, there doesn’t seem to be a lot to like.